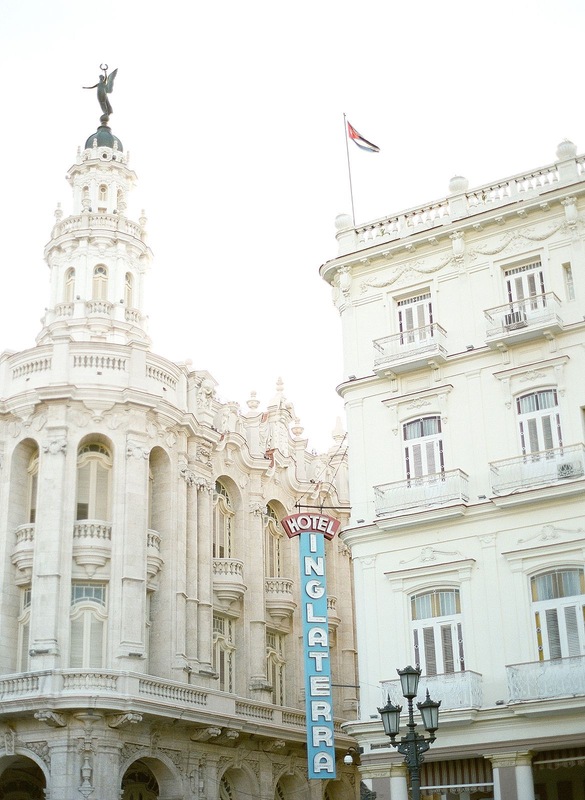 Havana is a city frozen in time—a relic of tradition and history framed in ornate stone buildings and peeling facades. 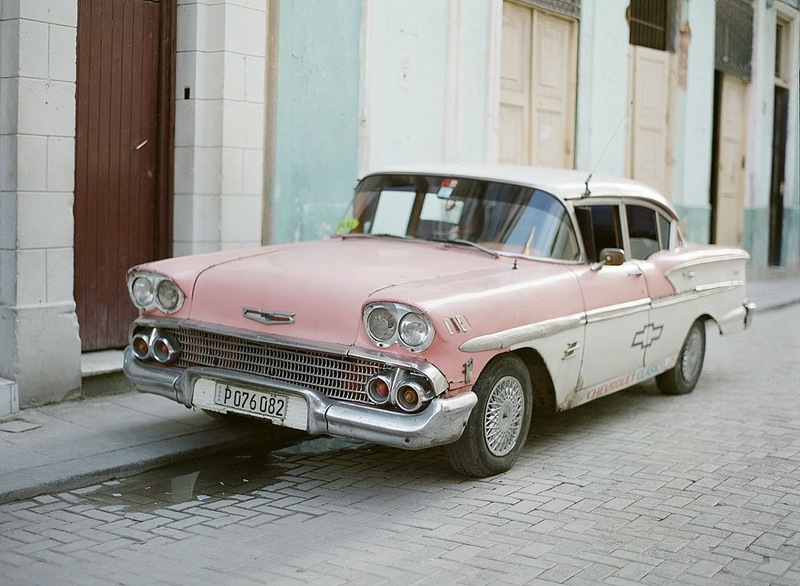 Its warm, cultured streets are a snapshot of mingling eras: youth and music amidst pastel vintage vehicles. 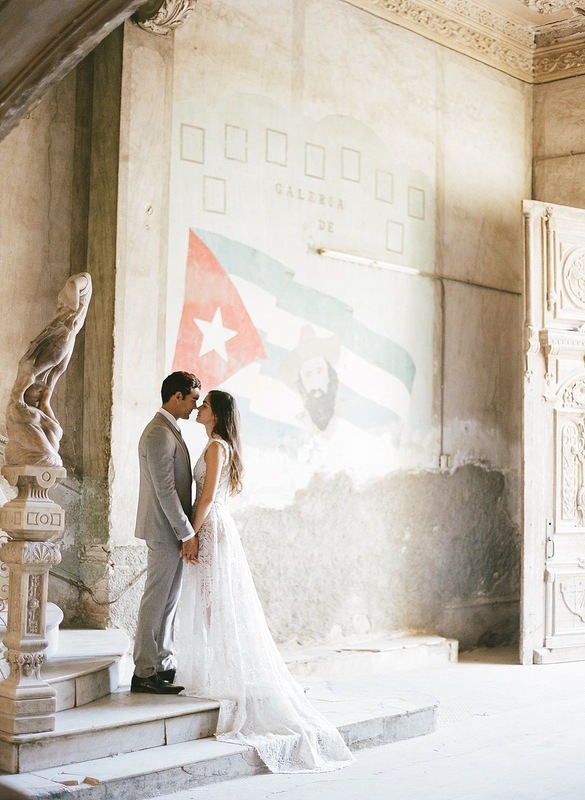 What an absolute dreamland of warmth and love—too perfect for this next Cuba elopement inspiration captured by Anne Rhett! 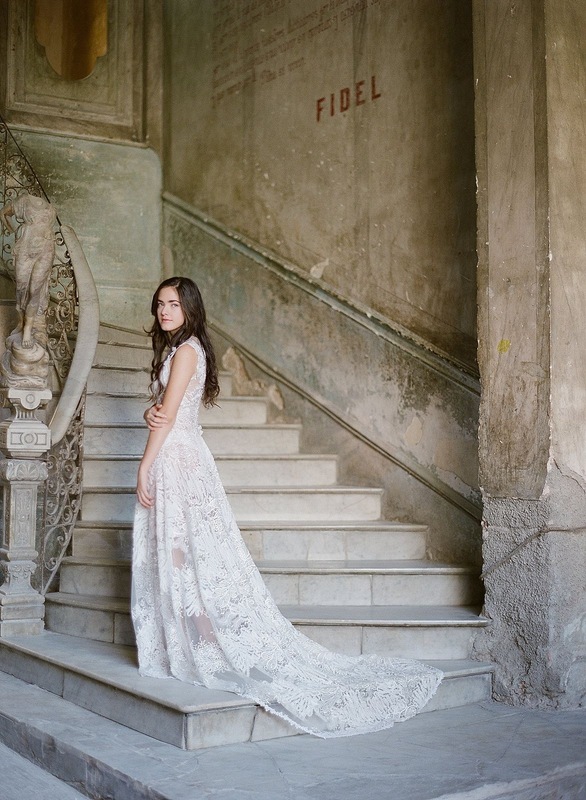 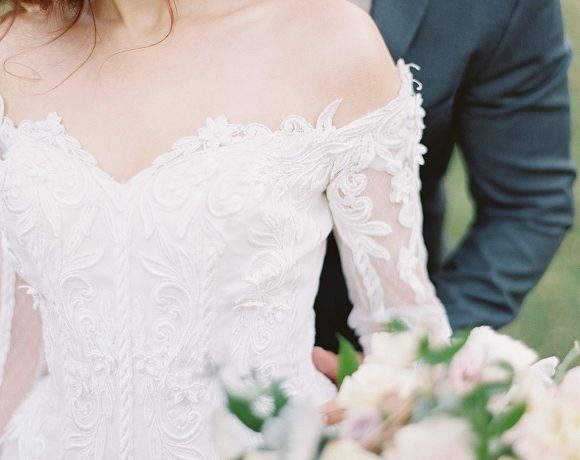 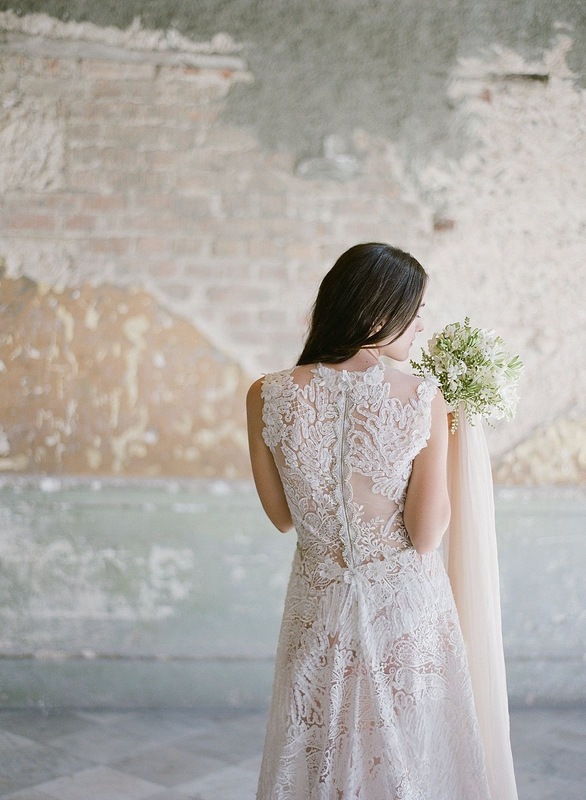 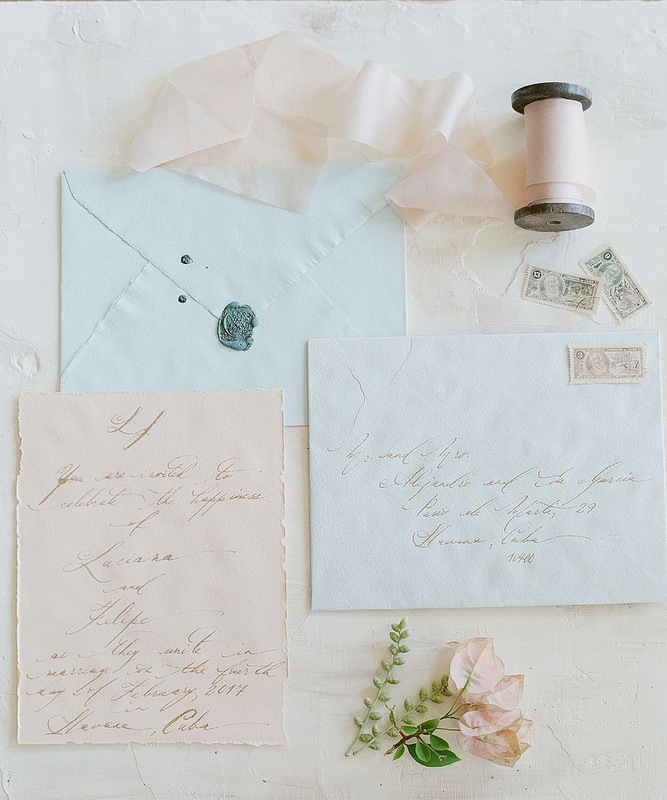 With gorgeous styling courtesy of Designs by Hemingway and some truly stunning gowns by Claire Pettibone, Grace Loves Lace, & Rime Arodaky, it truly embodies the delicate romance of this unique city! 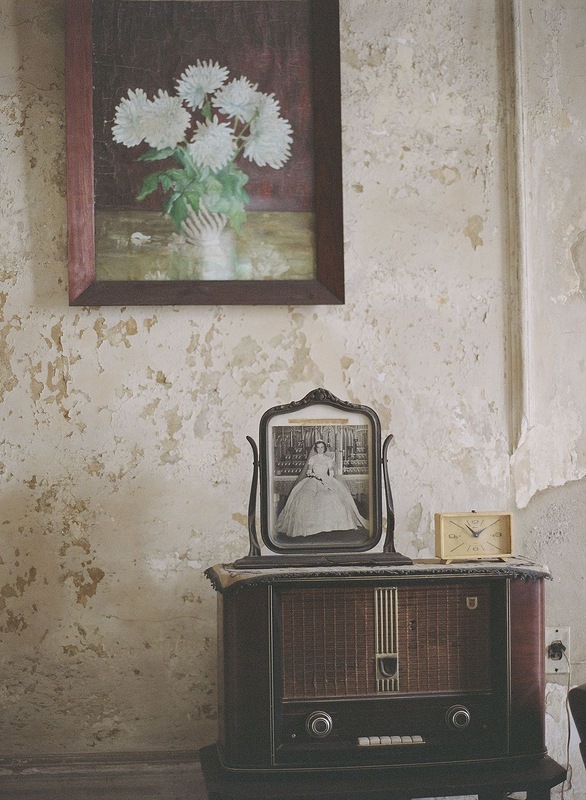 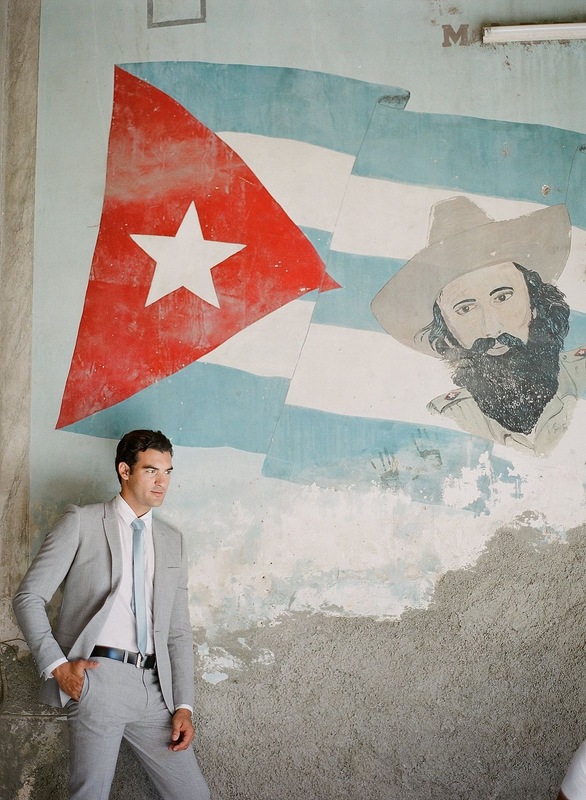 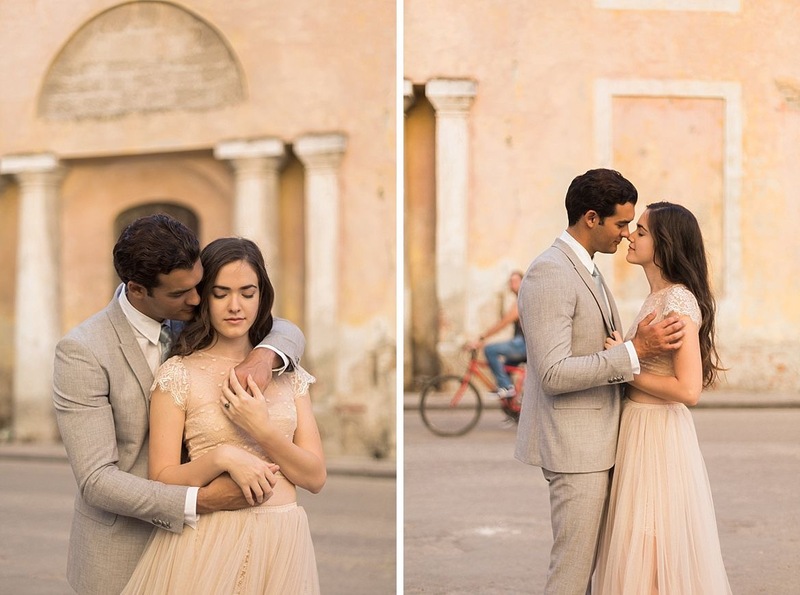 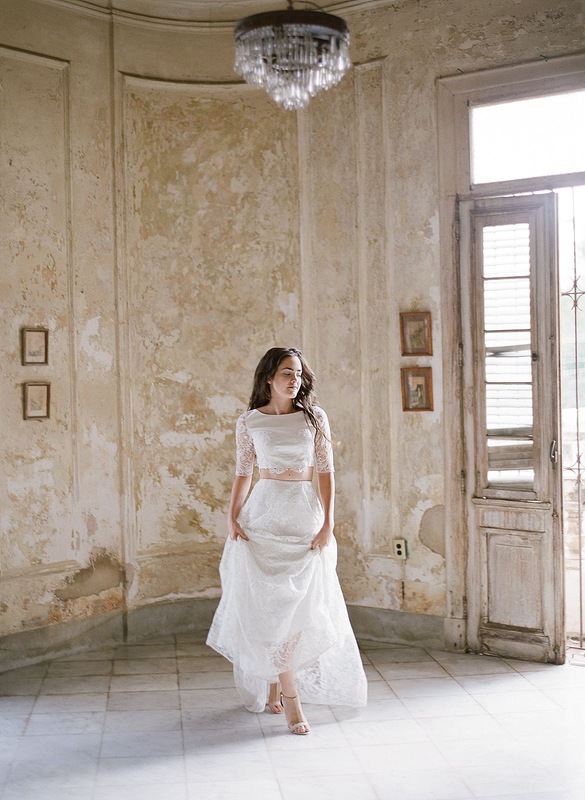 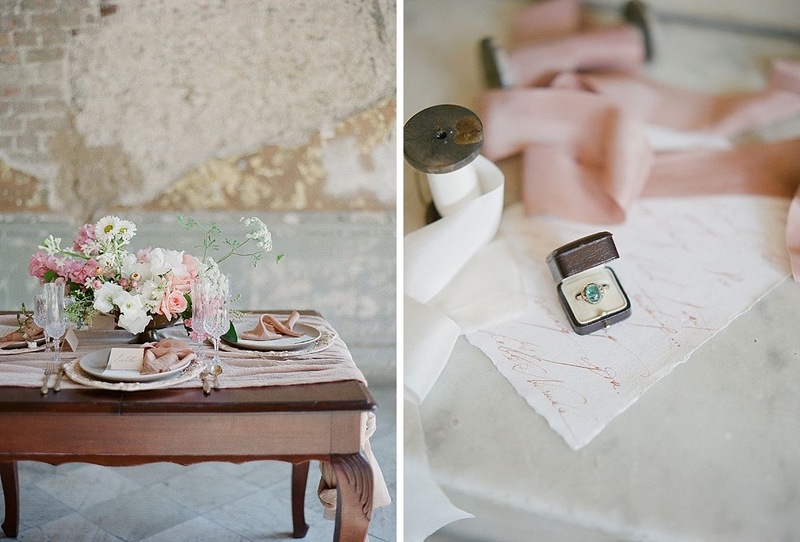 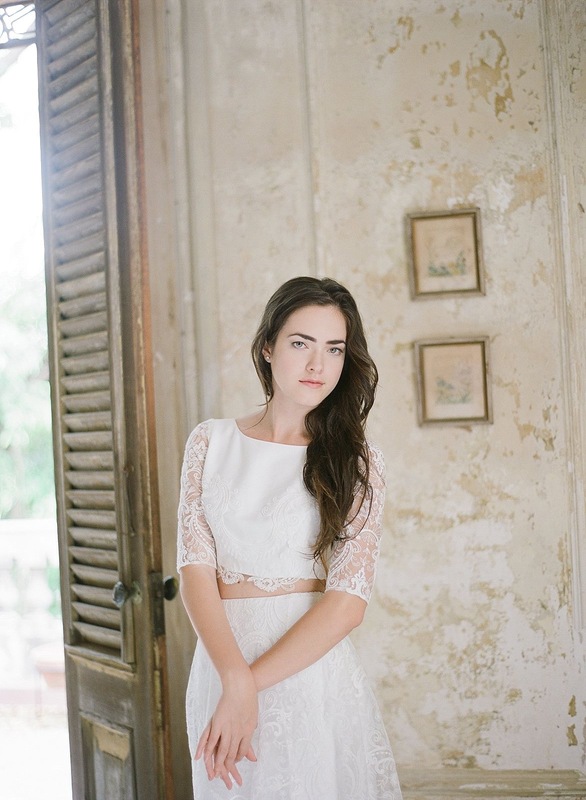 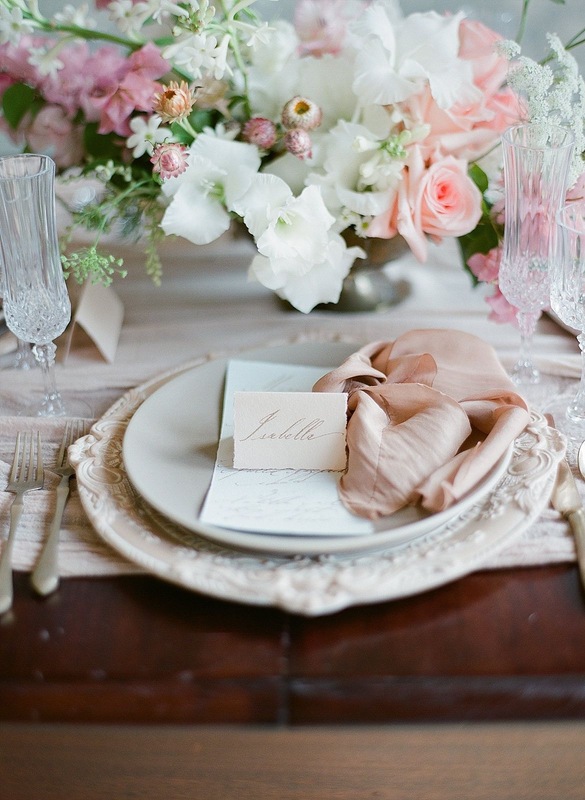 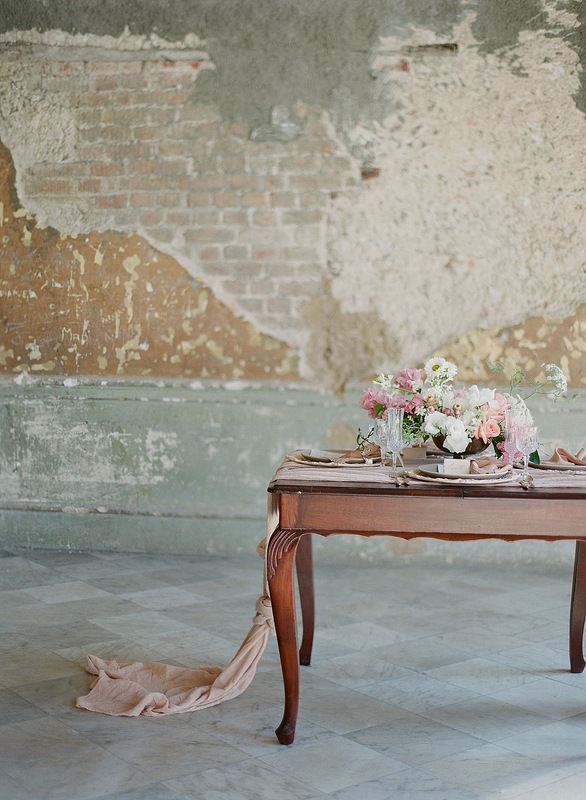 “These images are the result of a dream come true for me- a styled shoot in Havana, Cuba. 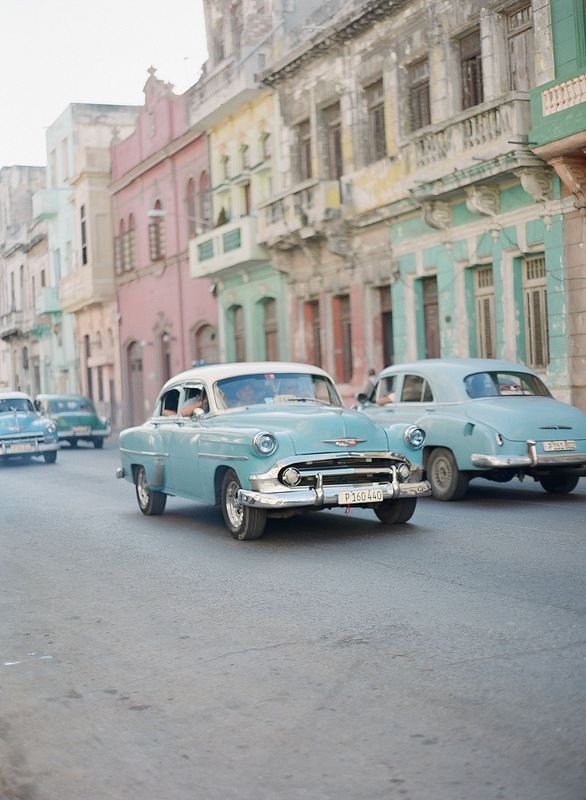 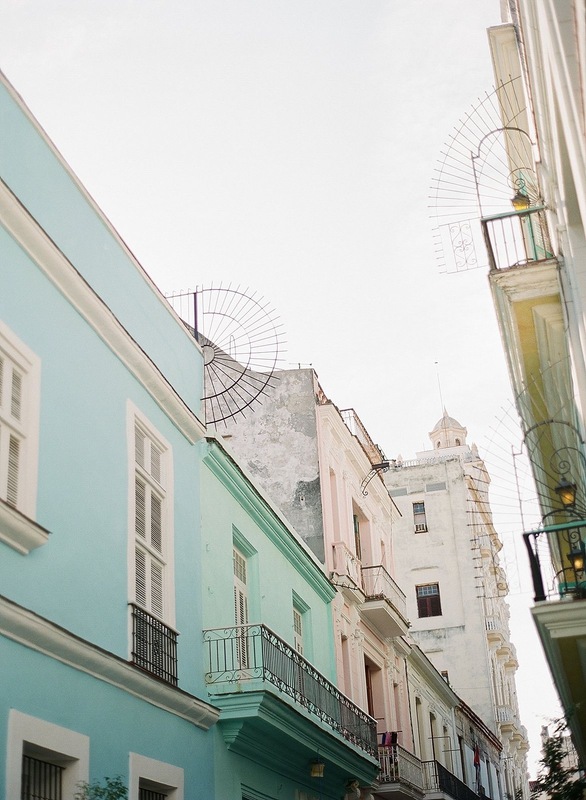 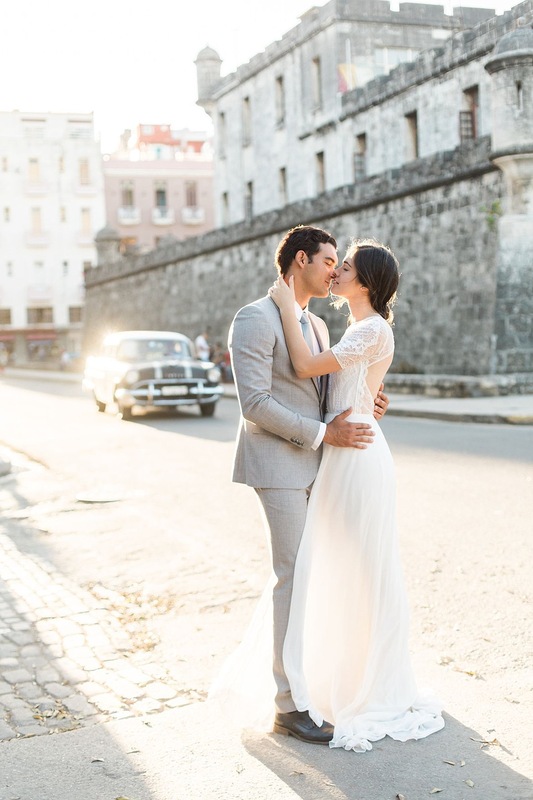 Set against a backdrop of old colorful cars and colonial mansions in peeling pastel palettes was the sweetest love affair between Carla and Javier, who actually grew up together in Havana. 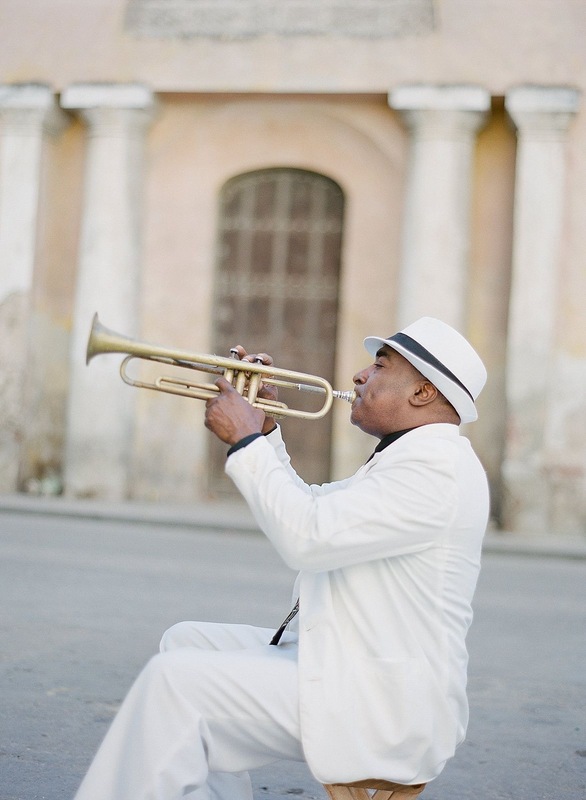 The streets of Havana afforded us with many welcome surprises—golden walls, hot blue motorcycles, horse and buggy carts, and wandering street musicians spontaneously stumbling into our scene! 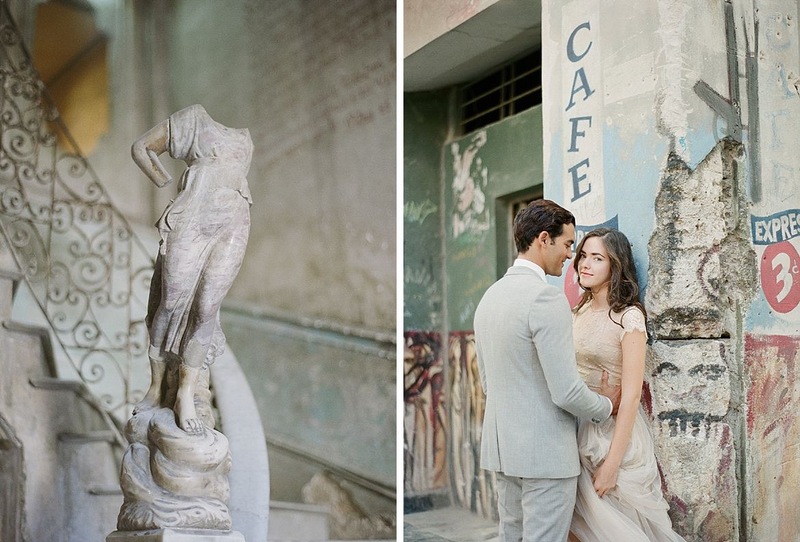 One of my favorite spots in our wanderings was La Guarida, where I photographed Carla and Javier on the iconic stairwell beneath painted Revolution-era propaganda. 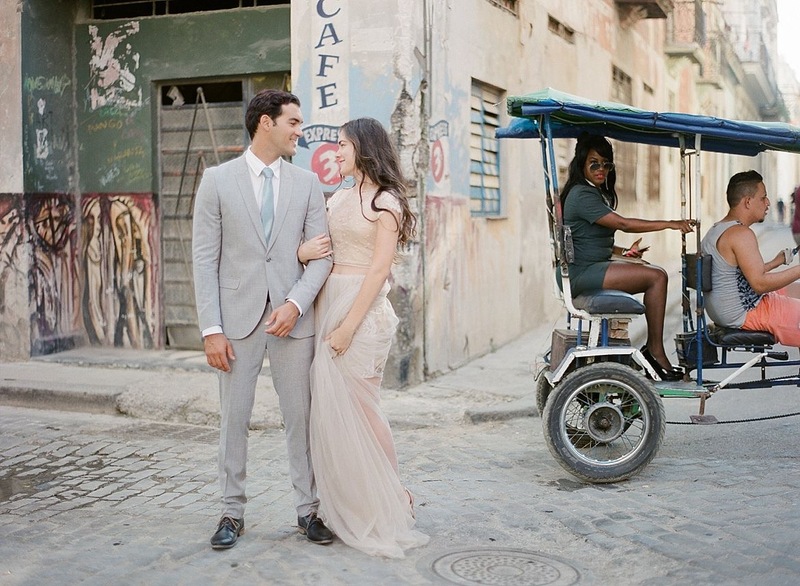 La Guarida is a beautiful space that became an emblem of Havana after a Cuban movie filmed there, Fesa y Chocolat, was nominated for an Oscar.